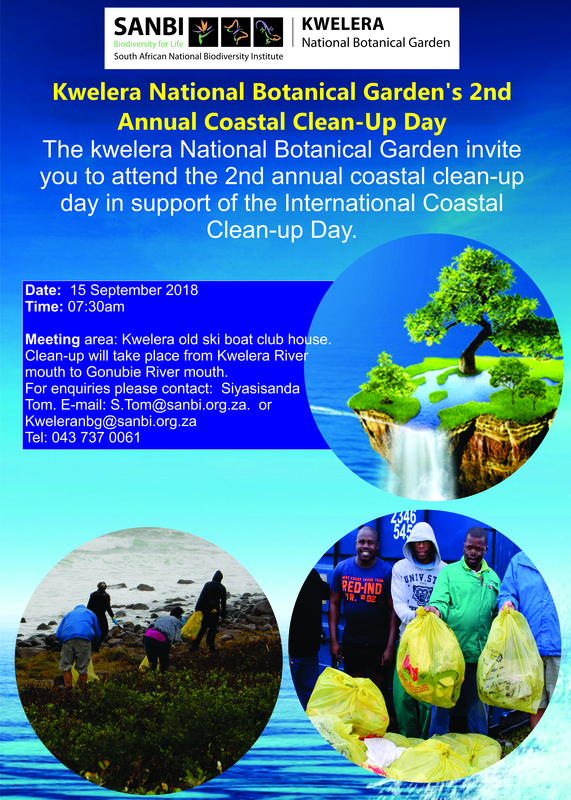 Kwelera National Botanical Garden (NBG) invites you to the 2nd annual Coastal Clean-up Day in support of the International Coastal Clean-up Day. Meeting area: Kwelera Old Ski Boat Club House, Kwelera National Botanical Garden, Eastern Cape. N.B: Please note that clean-up will take place from Kwelera River mouth to Gonubie River mouth.